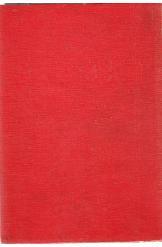 Selected cases of the District Courts of Palestine with annotations 1945, 827 pages. Edited by AM Apelbom, LLB, published by Bursi, cooperative printint with Hapoel Hazair Tel Aviv, printed in Palestine. The book is in English.